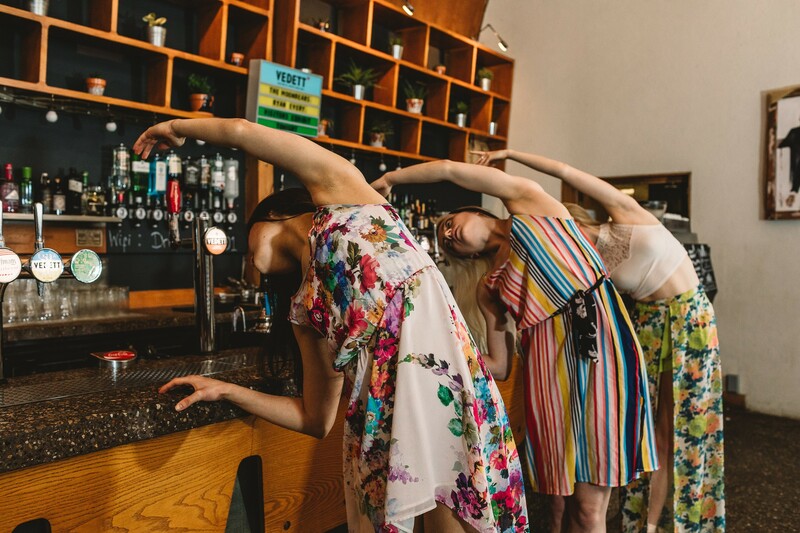 Successfully piloted in a bar, foyer and café space in Coventry and Birmingham, supported by Birmingham Royal Ballet, Arts Council England & Coventry City Council, Ballet at the Bar(re) breaks down the ballet spectacle bringing live performance right in front of the eyes of an audience. 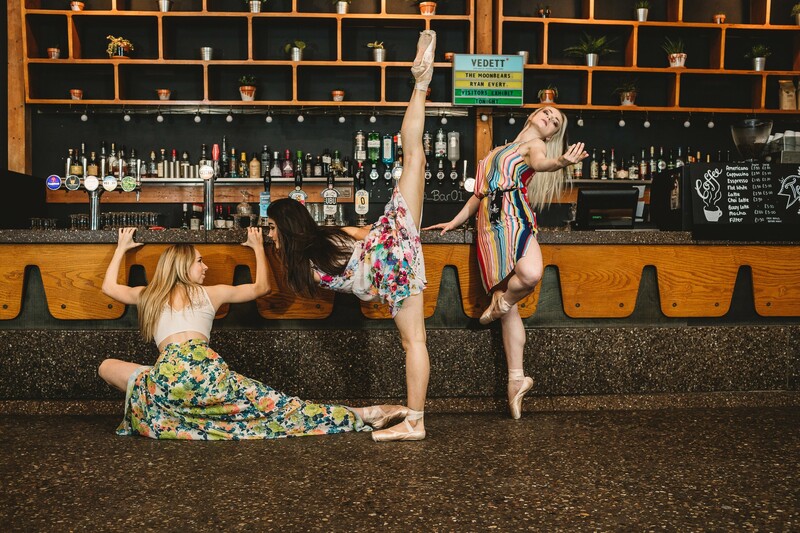 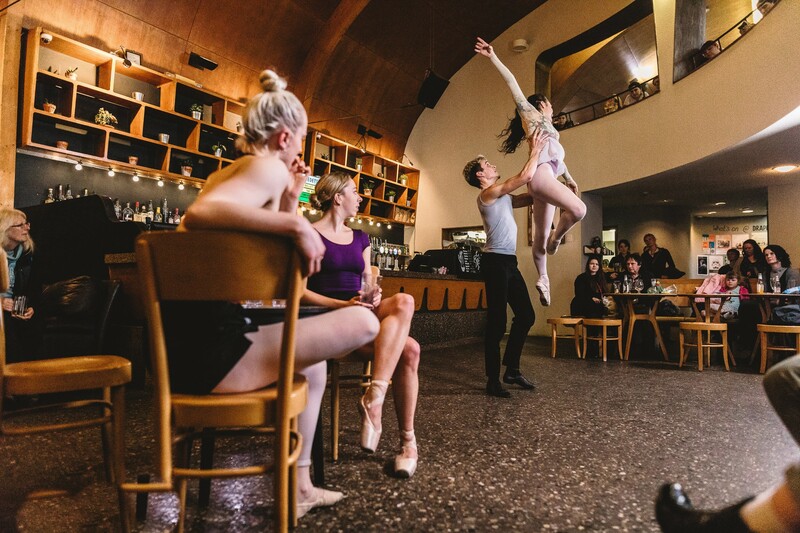 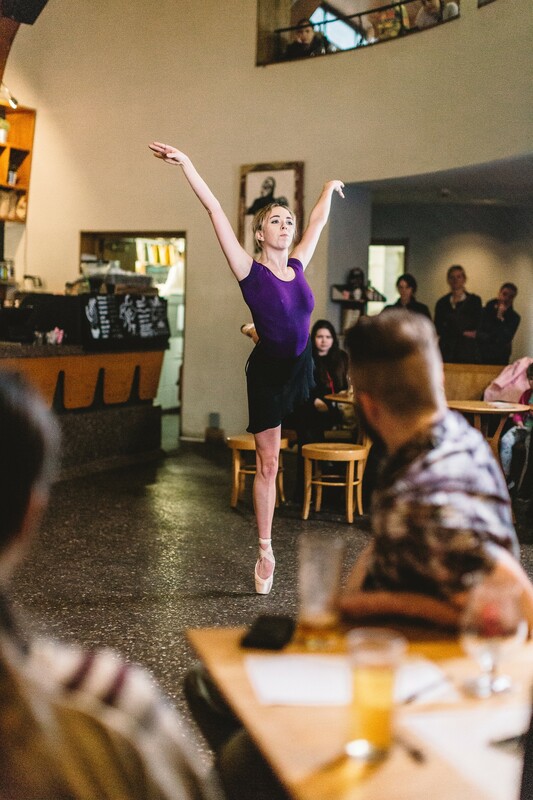 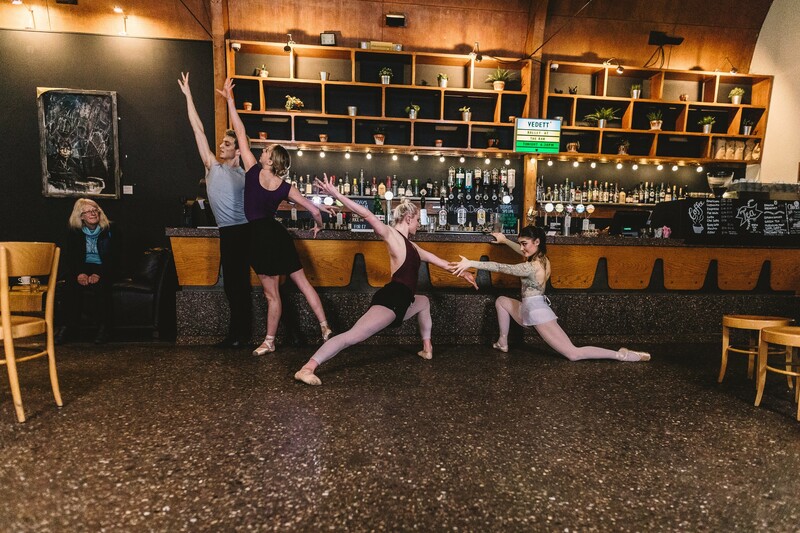 Including elements of audience interaction and engagement, Ballet at the Bar(re) is easy for audiences to relate to and understand, regardless of age, gender, cultural background, or language spoken. 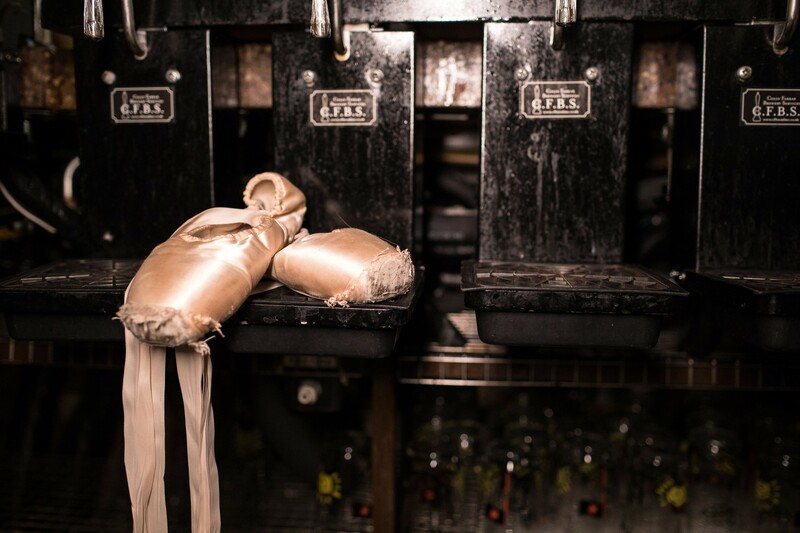 It has the ability to access new audiences, targeting specific communities if desirable. 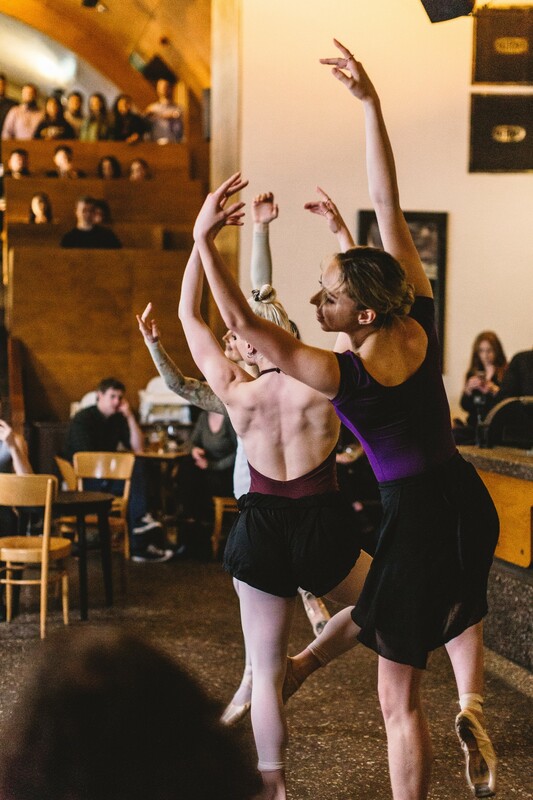 The piece exists in two models, a 30 minute one off performance, or a durational piece over an hour with audience interaction between shorter performances of the material. 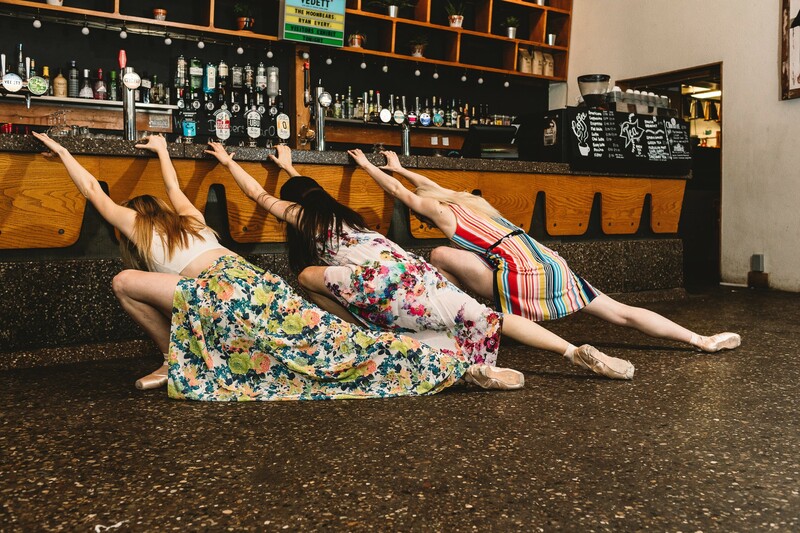 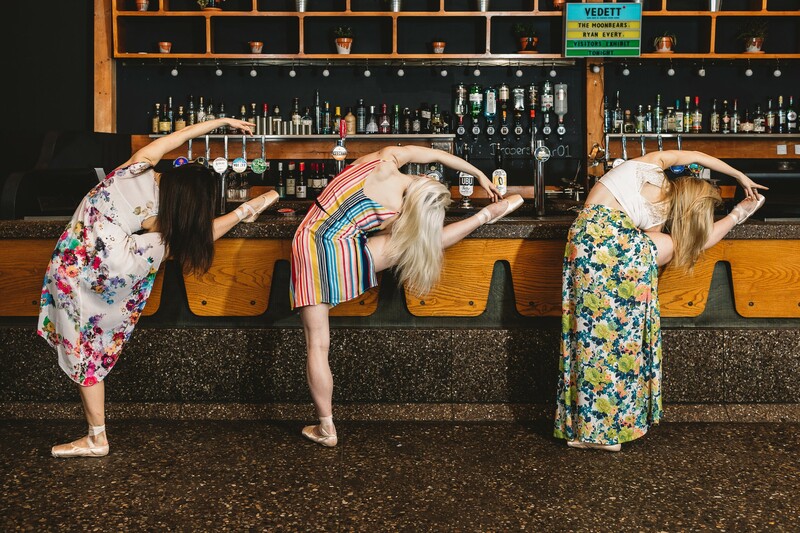 We are looking for partners who are interested in having a conversation about presenting Ballet at the Bar(re) – please contact us to find out more. 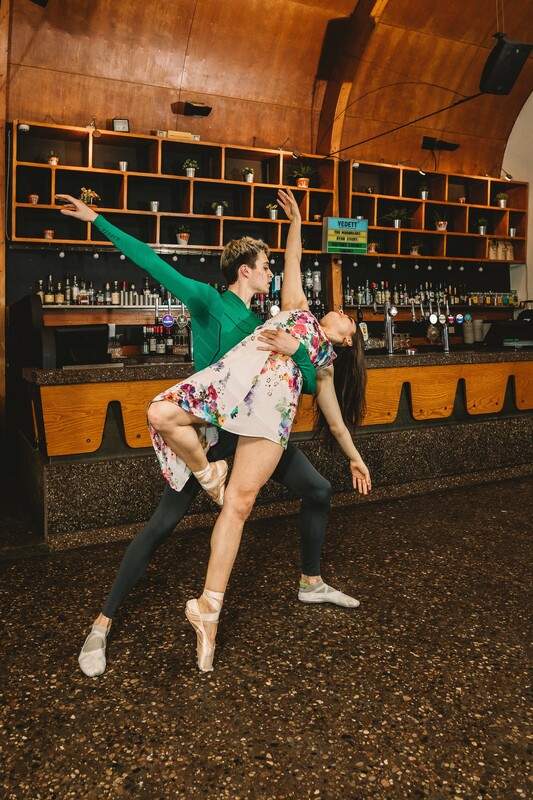 If you subscribe to our mailing list we will send you occassional newsletters and do not share your details with other people.